Harry got on very well with the little pig after an uneasy start. 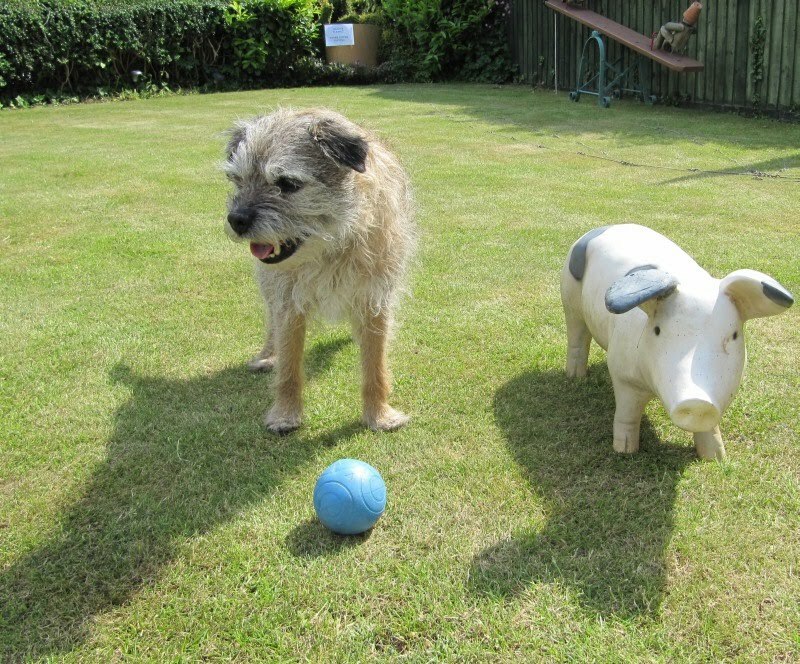 Harry was a bit unsure at first because he thought he might have to share the ball with the pig. But the pig turned out to be real fun to play with because he let Harry have the ball all the time. Nothing like a good game of Droll ball. What's Droll ball? Sounds like fun.... is Droll the name of the pig?